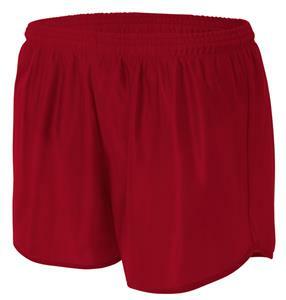 A4 Adult 3" Tricot Track Running Shorts - Closeout. The A4 5" Cooling Performance Shorts are a necessity for every athlete. These shorts are made with 100% polyester to keep you dry and prevent odors and stains. The A4 3" Cooling Performance Shorts are a necessity for every athlete. These shorts are made with 100% polyester to keep you dry and prevent odors and stains. I have purchased several pairs of these shorts, they are amazingly well made for the price and comfortable. Excellent value! Great quality and shipped quickly. Run a little small but good quality. Really nice shorts for the money. Consider sizing up one size. I wear medium in almost all shorts but these in a medium were a just a tad snug around the hips and not a lot of room for the guy parts. But for the price, can hardly beat them!